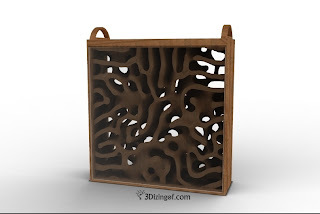 dbclunie: 3D Printing an Ant Farm, Ant Queens, And Asphyxiation! 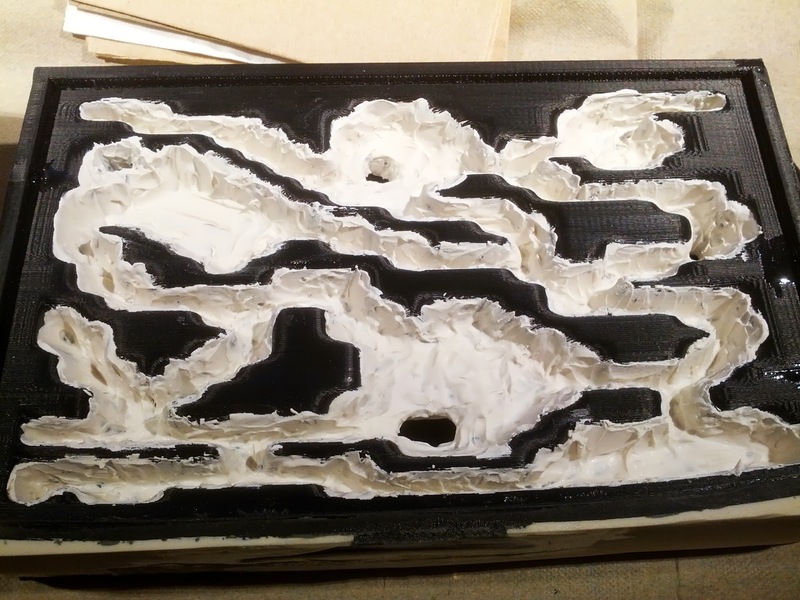 3D Printing an Ant Farm, Ant Queens, And Asphyxiation! I purchased a 3d printer back in May at Maker Faire. ( Check out that story here ). Overall i'm still pretty happy with my purchase, though looking back I might have gone with a less expensive printer such as the ultimaker or another one of the 3d printers out there, or even perhaps waited for the botobjects printer, due out in October if you preorder now that boasts 25 micron layers, dual extruders, and a 10x10x11 build area. While the 2x is a great printer it does have its shortcomings and for the price, $2799, these simply shouldn't occur. Makerbot industries sells two printers one is called the Replicator 2 and the other is the Replicator 2x "experimental", like the x planes of the 50's and 60s. One would think that everything the replicator 2 can do, the replicator 2x can do just as well but can do a few more things if you wish to experiment and tweak, but you'd be slightly incorrect. The Replicator 2x has an actual smaller print area, by about 2 inches on two axis, which is pretty significant. In addition while the Replicator 2 is geared for PLA plastic, a more rigid and environmentally friendly plastic that smells like pancakes when printing. The replicator 2x is geared for ABS plastic, which is a bit more flexible and when printing smells like you're melting your action figures in the oven. 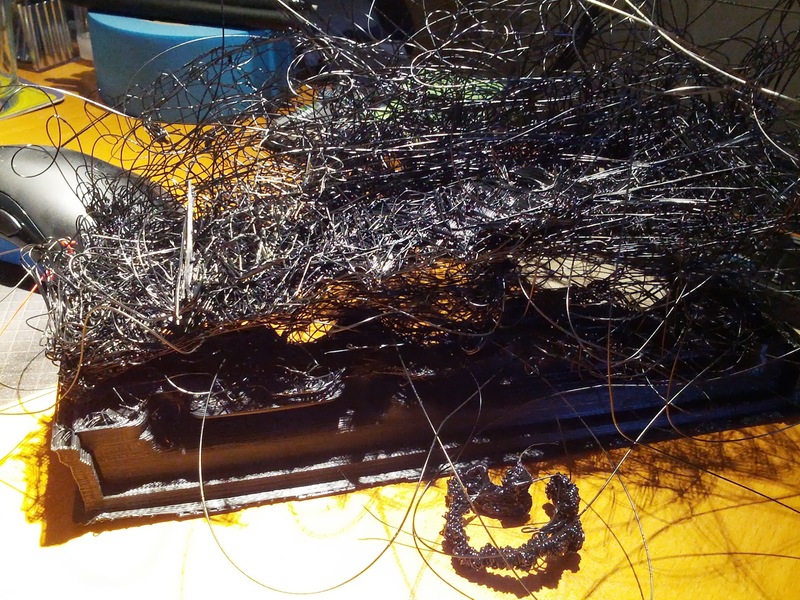 Which brings me to the point that the replicator 2x really can't print PLA well. You CAN print PLA, but typically you'll get one or two prints then the nozzles will clog or the plastic won't stick to the base, or a bunch of other issues which will result in "air prints", where the printer goes through the motion but you'll end up with nothing printed or half printed. 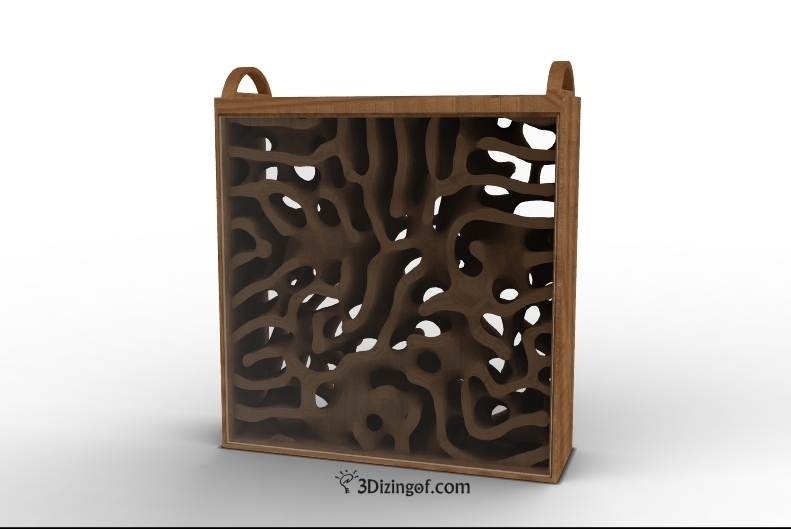 I ended loading up my old copy of Cinema 4d, 3d modeling software, which I had purchased ages ago, and designed a simple ant farm, not as elaborate or as cool as 3Dizingof's version, but had a few elements that were the same, e.g. front and back view ports and tunnels connecting the two sides. While you should never leave a print "unattended"
hope everything matches up and continues on. When i finally got a working print, It took only took 34 hours(i said sarcastically ;) and almost a entire spool of black plastic ABS! This also pushed my printers capabilities as it printed to the very edge of the build platforms in both width and height. I used both supports and a raft this time around. The raft helps "stick" the print to the base so the corners to curl upward. ABS when it cools shrinks slightly which when printing from the bottom up you'll run into a situation where the bottom is colder than the top and will start to pull in on itself and cause cracks or warps to occur. This is also another reason why the rep 2x has a "enclosed print area to help maintain a "warm temp" to aid in gradual cooling. However with this large of an object even the raft didn't save my print from becoming warped on one side really bad. In fact the ant farm seperated itself from the raft on one side entirely which you can tell in the pic by the severe warp. thats not a camera lens trick the top is severely warped to one side. After removing all of the support material and some initial sanding I decided to use some casting resin to make at least the top/bottom now flat as could be, and actually that worked out pretty well. 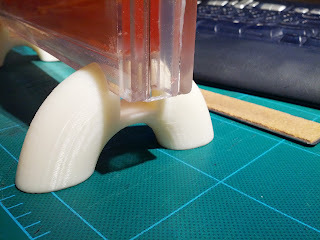 I then just had to cut some acrylic to the right dimensions and account for the warp, which wasn't a big issue since I left quite a gap to place silicone calk for use as a glue and filler/sealer. The resin I used however was an off white color when cured. There was also some fairly large cracks from the abs cooling along the sides but i just filled that in with epoxy resin glue, which is clear, then sanded it down flat. 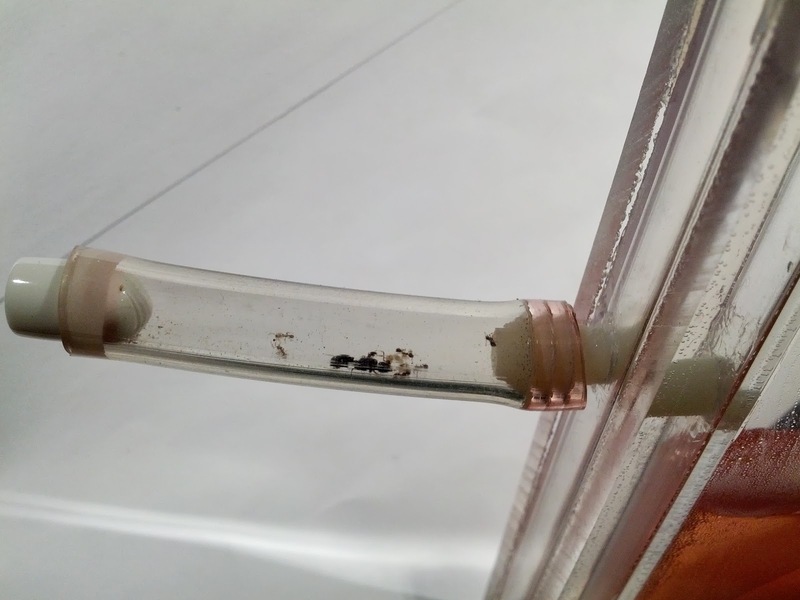 At about the same time I purchased my 3d printer, near where I work, I happened upon two queen ants walking around on the pavement, not sure if they were actual queens, i scooped them up in a plastic vial and then setup a test tube rearing environment at home. Gladly in a few days time they both started laying eggs. One queen was about 2x larger than the other but they appeared to be the same species (still yet unidentified). After a month or two went by I was happy to see both had larva and then pupa and ultimately new worker ants. The larger queen also seem to start to feel the pinch of crowding in the small vial. 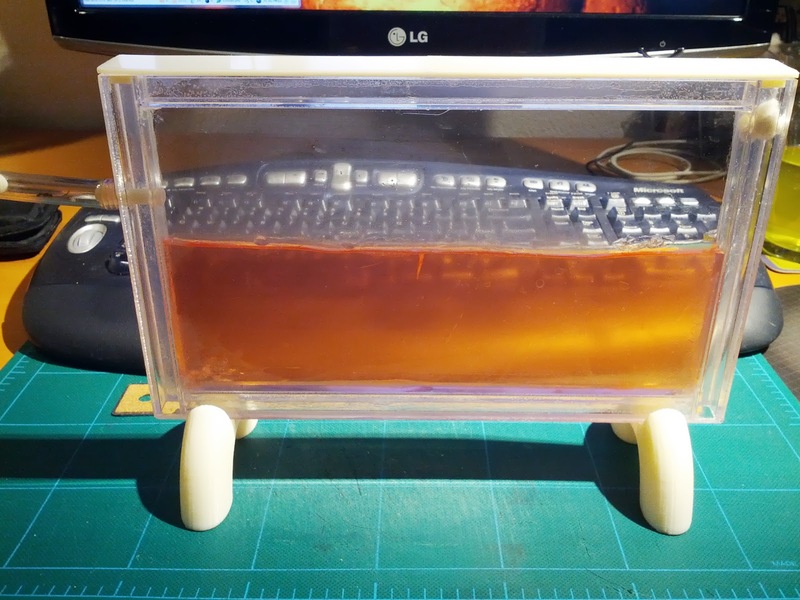 So the plan was to finish the 3d printed ant farm for the larger queen and colony and then make my own "gel" ant farm for the smaller queen and her colony. added joint compound for texture and base for ants. At this time I also started to create another farm using acrylic and some "ant gel" I had. I wanted something similar to those you can find on thinkgeek, and other "geeky" online retailers. I went to tap plastics, pick up two identical pieces of acrylic out of the bargain bin and some square 1/4" tubing, then using some welding solvent created a box. I then added some ports and used the 3d printer to print out in the natual abs filament some legs for the stands and a top decorative portion. This turned out really well. I then put the ant gel into the farm through some tubing and a syringe and about a day and a half later i moved the small queen into a tube attached to the ant farm. The colony has investigated the main area but have yet to "move in". Eventually they should be thirsty/hungry enough to search out in the main area which the gel acts both as a food and a water source. Eventually when they do move in i'll attach their "entry port" into another outworld for them to explore and forage. Gel Ant Farm just like thinkgeek! i'm trying to get the ants "into" the farm still. this is the smaller queen and her colony, actually doing well! So as I had finished the acrylic version of the ant farm and moved in the smaller colony, I again set back to working on the large ant farm. 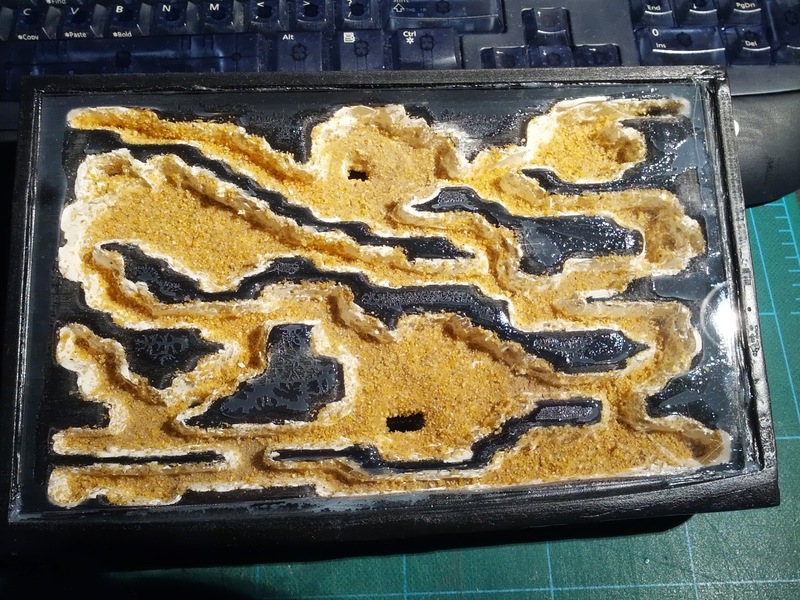 I decided to place some sand/gravel into the inner area with some watered down pva glue so the ants could pull away some small rocks if they wanted to "customize" their area a bit. I then placed two pieces of acrylic over the top and back using silicone to glue everything up nice. I used some on the silicone on the port into the farm as well and left it to dry over night. Well the next day I noticed that everything looked good and all I needed to do was throw some paint on to hide the clear resin and the white resin, so using some "rustoleum for plastics" spray paint I threw on a couple of coats of paint. 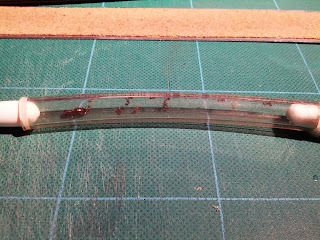 After spray painting I noticed that the port into the ant farm was loose and took some super glue and glued it on tight once again. I left the farm sit for about 4 hrs or so and when i came back everything was dry. However it still did smell a bit "spray painty". This was about 2am when I brought it into my house. So i went an grabbed the larger queen and her colony they were running all around seemingly wanting to get out of the vial asap. So I hooked the colony's vial up the port in via three other tubes with some cotten balls. The colony quickly moved out of the first tube into the second larger tube area grabbing their eggs and pupa and larva. Soon they were all in the second tube. So i pulled off the their original home and stoppered up the end with a cotton ball. Then using a led flashlight I coaxed them into the tube closest to the ant farm and stoppered up that tube again with a cotton ball. So the idea was this is where I would leave them letting them explore on their own time frame and hopefully move in. I started watching them to see if there was any issues or panic setting in. Oddly they seemed fine at the time. So after a few hours of watching I decided to go to bed around 5:30 am. removed tube from ant farm, all are dead. you can see the queen was huge! So here is some video of the ants while in their tube before they passed away. I took these with a webcam and some scavenged lenses from a toy microscope. Check out my youtube channel for videos of the other colony and updates!